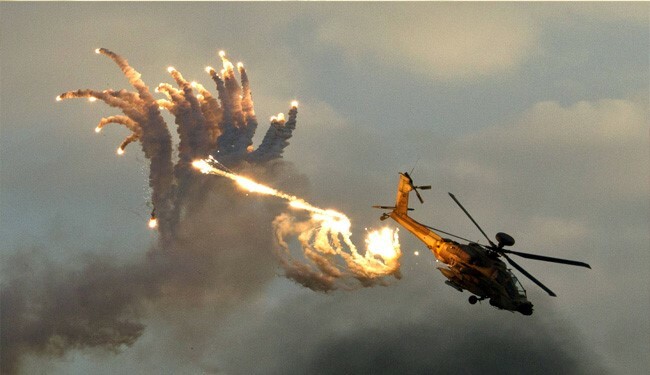 JNN 27 Sept 2015 Sanaa : Yemeni forces have killed 13 Saudi soldiers and shot down a Saudi Apache helicopter in the kingdom’s southwest. The developments took place in Saudi Arabia’s Jizan province near the border with Yemen on Saturday as the Yemeni forces were returning Riyadh’s attacks on its impoverished southern neighbor. Meanwhile, the Yemeni forces took control of buildings behind the Hathirah military camp in the region. Yemen’s al-Masirah TV also reported on Friday that a senior Saudi commander and two other military staff had been killed in a mine blast in Jizan during clashes with Ansarullah fighters, backed by army units. Saudi Arabia has, meanwhile, kept bombing Yemen, killing three children in the city of Ta’izz in southwestern Yemen. Fighting on the ground on the outskirts of the city also left 10 people dead. Saudi Arabia started its military aggression against Yemen on March 26 – without a United Nations mandate – in a bid to undermine the Houthi Ansarullah movement and restore power to the fugitive former Yemeni president, Abd Rabbuh Mansur Hadi, a staunch ally of Riyadh. According to reports over 6,200 Yemenis have so far lost their lives in the Saudi airstrikes, and a total of nearly 14,000 people have been injured. This entry was posted in Jafria and tagged Ansarullah, Chopper, Saudi Forces, Yemeni Forces. Bookmark the permalink.